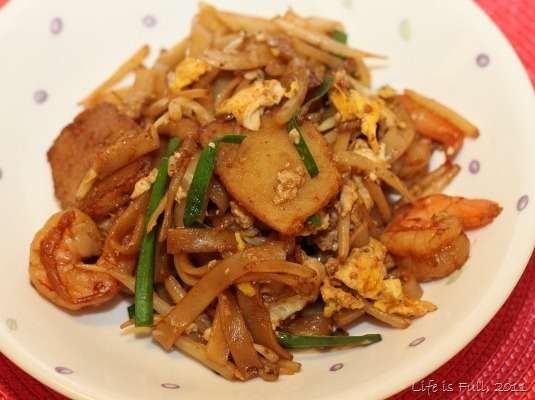 Char Koay Teow, one of our beloved hawker food back in Malaysia. 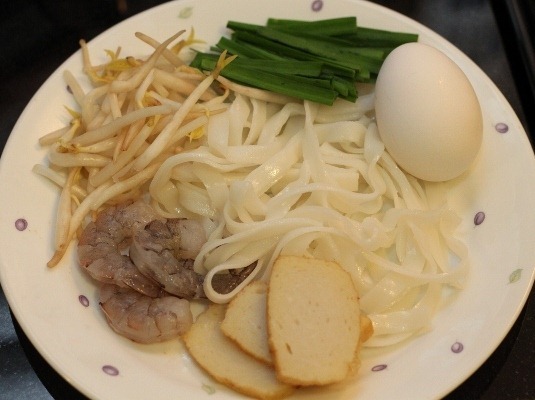 Flat rice noodles fried in a hot wok with shrimp, eggs, bean sprouts and Chinese chives. It’s oily but so delicious! It could be eaten for breakfast (like in the picture below), lunch or dinner! 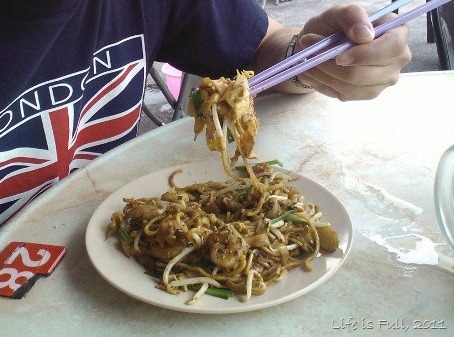 Anyway, back to reality here in Canada, we could only find this dish in restaurants that sell Malaysian food. The taste could be pretty authentic if you’re lucky but it’s expensive. I might as well make it at home and fortunately, it’s quite easy. Ready the ingredients as shown below and have a wok on hand. 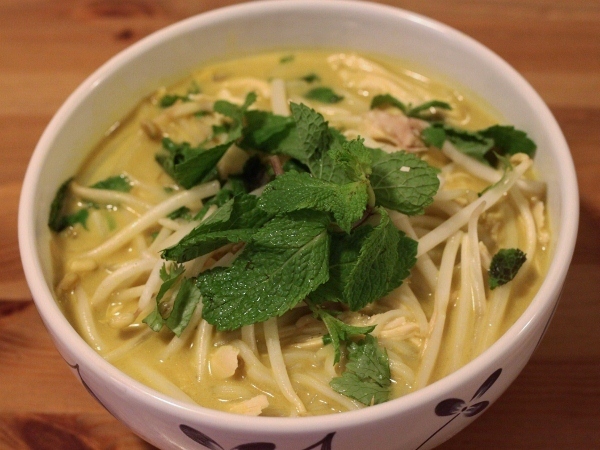 This is this week’s French Fridays with Dorie pick – Spicy Vietnamese Chicken Noodle Soup. 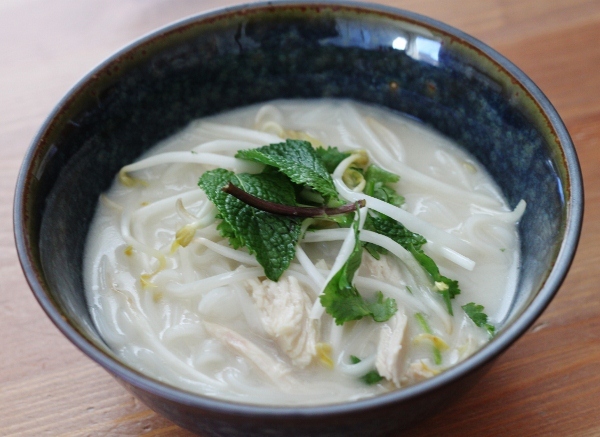 It’s Vietnamese chicken noodle soup with coconut milk. 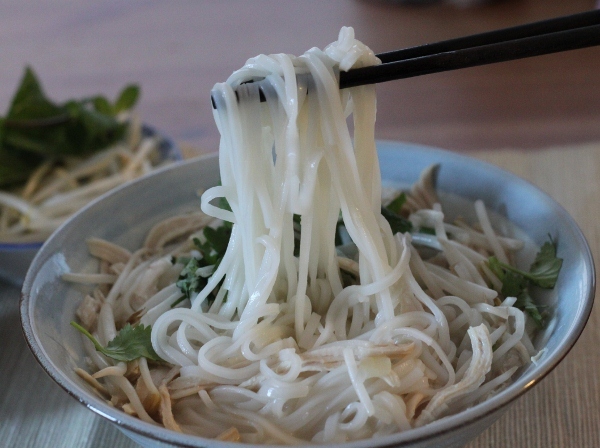 I was relaxed with this recipe as I’m on familiar grounds because I’ve made Chinese chicken noodle soup (gai see hor fun) before and I eat Vietnamese pho noodles quite often too, heh! The kids ate their noodle soup ‘straight’ but hubby and I boost the flavors with fresh basil leaves, fresh cilantro, lime wedges, extra fish sauce and chili sauce. Slurp! I tried the bonne idee and added curry powder the second time I made the soup. I looked up Vietnamese curry powder and read that it’s Indian-influenced yellow curry powder. I have a bottle of Waugh’s Curry Powder and used that. The result is not to my liking, it’s a neither-here-nor-there kind of soup. The best thing about making this recipe is learning about Vietnamese soup. I hadn’t known earlier that they use spices like star anise and coriander seeds to flavor the soup. 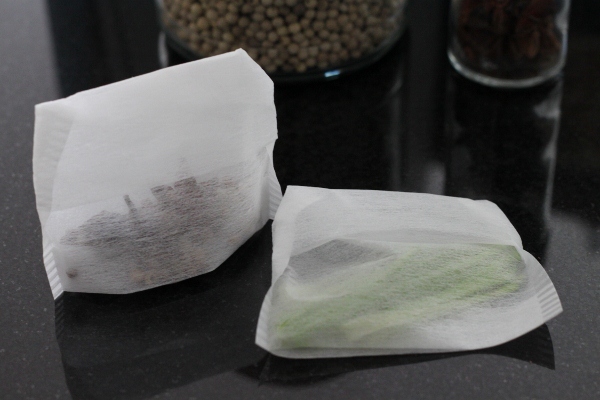 Cinnamon and cardamon seeds are used too and today in the Chinese supermarket I saw there are convenient packets of pho spices complete with mesh bags in them.